Hypnotherapy is a special field that lies somewhat at the brink between psychology, counselling and relaxation therapy. It is strongly slanted to a non-pharmaceutical approach to health and operates on the belief that a qualified hypnotist can access the deeper parts of a person's mind, which then serves to help that person move beyond a mentally distressing condition. One part of the work that is particularly fulfilling is that you would be working with people representing an enormous range of health disorders, which means that your work is varied and constantly challenging. As a hypnotist, you would work with people having conditions ranging from anxiety, phobias and depression to eating disorders or stress and insomnia. 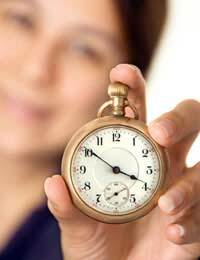 In fact, there are few conditions that cannot be helped in some way by hypnotherapy. Many people also see a hypnotist for help with quitting lifestyle habits, such as to stop smoking. In a typical session, you would draw your client into a state of intense relaxation. Afterwards, you would make gentle and subtle suggestions to the subconscious mind, which serves to help your client change harmful ways of thinking or behaving. You may only see a client for one session for that person to experience improvement but usually, a client will be seen for a series of sessions over several months or more. You typically begin with the initial consultation, where you and your client have a chance to speak about the client's health history and diagnosis. You would then formulate an appropriate treatment course before placing the client in a hypnotic trance and making suitable suggestions and positive statements to encourage your client's healing. While the field of hypnotherapy is not a tightly regulated one in the same way as other health professions, you should still obtain a qualification that is approved by one of the professional associations in the hypnotherapy field. Usually, each association will provide information on the approved training courses in the United Kingdom (UK). There are also graduate level hypnotherapy courses that are geared towards people who have already obtained a qualification in psychology or counselling. It is important to know that there are continuing education courses that will keep your skills and knowledge up-to-date on the latest research in the field. The salaries vary but most hypnotists work on an hourly wage and are self-employed, although there are some opportunities within organisations throughout the UK. A usual hourly rate can range from £40 to more than double that figure. As you become more experienced, you can comfortably charge a higher rate and in particular, an excellent hypnotist will bring in clients through word of mouth and recommendations. While there are many health care careers to consider, a career in hypnotherapy is a good choice for someone who has an empathic, helping personality and approach to their job. Also important is the ability to quickly build a warm, comforting rapport with a client and to understand the importance of confidentiality. Many of your clients will have challenging problems that bring them a great deal of distress or embarrassment. Health problems such as phobias and stress or the challenge to stop smoking are all difficult and overwhelming for a client. As a hypnotist, you need to calm and relax your clients before guiding them into a deeper state of relaxation, before you offer positive and encouraging suggestions to their subconscious mind. If you are a warm and gentle person who wants to help clients in a way that does not involve medications or intense behavioural therapies, then a career as a hypnotist could be your best choice.